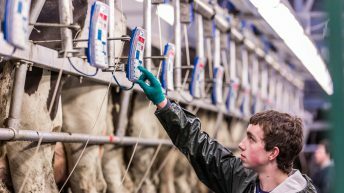 There is a real risk in the new milk production environment that many dairy farmers will drift into high-cost open systems to feed their expanded dairy herds, according to Teagasc’s Joe Patton. According to the Teagasc Head of Dairy Knowledge Transfer, this can occur as the feed demand exceeds the grass growth capacity resulting in up to 20% of the annual feed budget being imported. 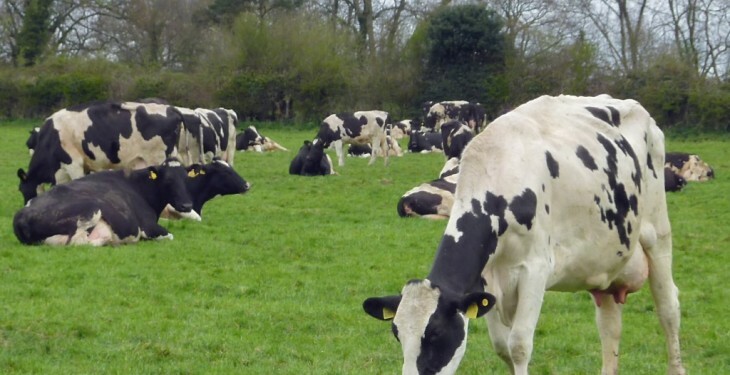 Speaking at the Teagasc Dairy Conference in Co. Kilkenny, he said this system of production will have a negative impact on the cost competitiveness of dairy farms through reduced grassland management. He also said that the stocking rate is important on farm as it determines the level of feed supplementation, milk yield per cow and milk output per hectare in grass-based dairy systems. According to Patton, dairy farmers must also consider the relationship between milk solids production and the stocking rate on their farms. 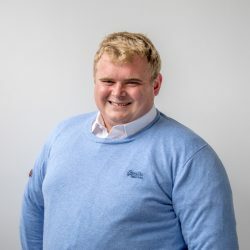 Patton said that where stocking rate is low and pasture supply is not limiting, milk output per cow and per ha both rise as a result of better quality grass and increased cow numbers. However, he added that milk solids yield per cow will decrease as stocking rate increases further, but this is offset by increased grass utilisation. Furthermore, he added that milk solids yield per cow and per hectare will ultimately decline if stocking rate increases beyond the point which pasture utilisation is maximised. Also speaking at the event was Teagasc’s Donal Patton, who said that there is a wide variation in the grass growth levels on many Irish farms with a current range of 8-15t DM/ha occurring. 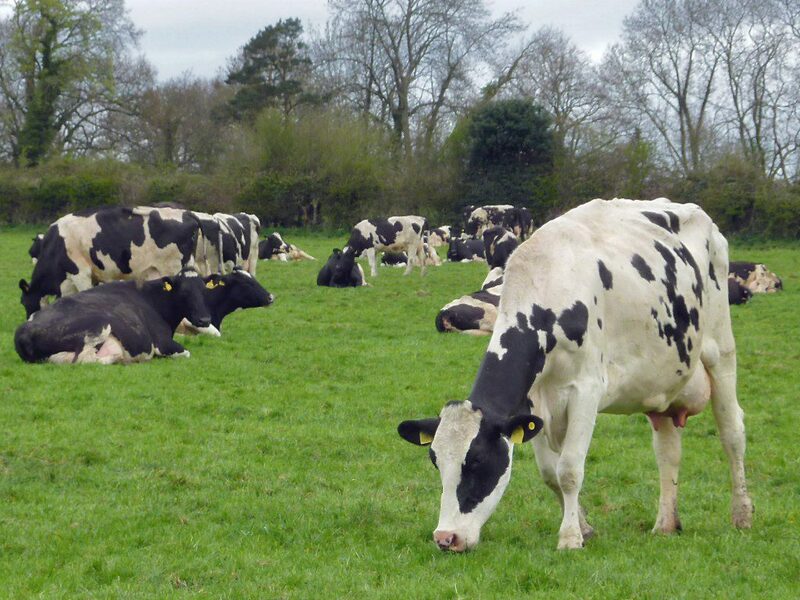 According to Research Technologist, a typical 550kg cow yielding 440kg of milk solids will consume approximately 4.7t DM grass per annum (grass and grass silage). As a result, he added, that farms with lower recorded annual growth will support stocking rates less than 1.5LU/ha while the higher growth rates are capable of carrying 2.7LU/ha. However, simply loading more cows onto a fixed area often leads to significant feed deficits at farm level, he said. Patton also said that it may take two to three years for the extra grass to come at farm level and farmers considering increasing their stocking rate will have to behave like a high stocking rate farm before they increase numbers. 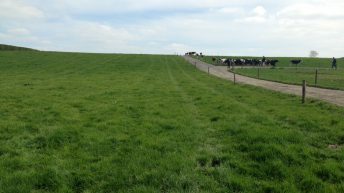 He added that very high stocking rates (>4.5 cows/ha) can often lead to a further reduction in grass utilised on the grazing platform through inefficiencies in buffer feeding, higher post-grazing residuals and reduced focus on grass management practices.